We were pleased with Rochelle. She was very thorough and patient. She found us the house we really love. I will recommend her service to our family and friends. Rochelle was great to work with! She was knowlegeble of the market and truly cared about my interests...I never felt rushed or pressured. I would highly recommend her to anyone looking to buy or sell! Rochelle take care of every single aspect when you come to purchasing a home. First and very important for me is that she was there 24/7 for you. She reply on e-mail and text message in a few minutes. Never leave any space for doubts, everything is crystal clear and you have a feeling that she giving same effort just like she is buying her own home. We were in WA State so when comes to see the house she was there with internet and Skype showing us every single inch of the house. No pushing or insisting, just letting you to see everything. This was amazing experience with 0 stress. I could not believe that was so ease to by a home. Rochelle assisted us with selling our first home, and buying our next home. We had some requirements for our next home and she worked with us to find those homes that fit our needs. She assisted us with everything from making sure our house was ready to list to bringing in folks to help with repairs and making sure our house was ready to list. Rochelle is quick to respond to texts and is a great communicator. We couldn't have done this without her! We are beyond happy with the choices we made, including using her as our Agent. 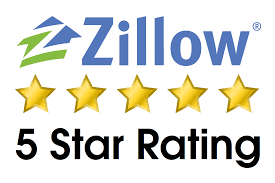 Rochelle was awesome to work with and made the process of buying our first home a breeze. She took the time to make sure any questions we had were answered very quickly! What a joy it was to work with Rochelle! We were going through a cross-country move and needed to sell our AZ home before moving to GA. Rochelle handled the sale of our AZ home from start to finish allowing us to focus on other things like packing and coordinating arrangements in GA. Rochelle helped us price the home properly and we sold in less than a week! Rochelle is always available to talk and kept us in the loop almost daily. She truly cares about her clients and does what she can to make you feel at ease. Rochelle was awesome to work with, very knowledgeable and well prepared to negotiate. She found us the perfect home in the west valley. Rochelle is very professional and caring she has a great attitude and makes you feel like you have known her forever. If you are in the market to sell or buy Rochelle Navarro is the real estate agent for you! Rochelle stepped in at the last minute when our first agent didn't follow through on the sale of a house as part of an estate. She not only exceeded our expectations, she made the arrangements for cleaning, landscaping and the other services that popped up. After listing, we had 3 offers in 24 hours and sold the house above asking price. She responded immediately to texts and voice mails, and communicated all along the way. We were very impressed with Rochelle and plan to use her again for future estate sales. Rochelle went way out of her way even after the closing of the house. She stills checks to make sure we are content with the house months later. Highly Recommended. She works with you, not just for you! She makes sure the entire process goes smoothly. Rochelle helped me find the house of my dreams and was with me every step of the way to help guide me thru the financing process. I would recommend her to anyone without reserve. Rochelle was great! My wife and I were very picky with our house hunting and Rochelle handled our needs like a true professional. She never got discouraged and was always willing to extend her day and go the extra mile to show us what we were looking. I would highly recommend her in your future house hunting ventures! Thanks Rochelle !! We love our new home!!! Rochelle was great from the beginning to the end. She found us a great new build in at a good price in a very expensive neighborhood with very limited properties. She even came to the appointment at the design center when we picked everything out. I was very grateful that she did because of her attention to detail. She was on time for every appointment and responded fed to every email quickly. I would highly recommend her for any real estate need. Bought a Single Family home in 2016 for approximately $225K in Surprise, AZ. 5 Stars Rating! Rochelle Navarro is a wonderful and caring real estate professional! She is very intuitive and she was able to find us the perfect house after only showing is a handful of homes. Additionally, she was very responsive anytime that we had a question, and as first- time buyers we had a lot! Lastly, Rochelle is very willing to go the extra mile, in fact, she insisted on holding the seller to task when the seller did not fully execute repairs that were agreed upon. I have been on the lending side for over 14 years and Rochelle ranks right at the top of all Real Estate professionals I know. Her previous experience in lending and dedication to her clients' needs makes it easy to partner with her. Thank you, Rochelle! I have bought and sold a few houses and she is the best agent I have ever had the pleasure of doing business with. Whenever I called her she always answered her phone. She always had the answers to my questions. She always had time for me. She helped me every step of the way making my move to a new state so easy. I felt in good hands with her. I have recommended her to several friends whom are moving here from California. She listens and finds what you are looking for. She has the patience to deal with a client with changing criteria. She is a world of knowledge when it comes to real estate and she can deal with challenging situations to accomplish what you want. Although she has many clients, she always makes you feel like you are her only client. She is amazing and you will not find a better realtor nor anyone more informed and knowledgeable in real estate. My husband and I were in hurry to find a home but had a very specific request about the school district, size, and price. Rochelle worked diligently to find the exact home we were looking for. She was very knowledgeable about what key areas were probably best to stay away from even if they did meet all of our requirements. If we saw a house that we did like but needed some work Rochelle was able to provide an estimate of what it would cost to remodel or repair. She had a wealth of knowledge when it came to Grants if it was for down payment or for home improvement and what was needed to qualify. Once we found the house that we fell in love with Rochelle knew what exactly to do to when the bid! There were other higher bids that were submitted to the seller, but Rochelle worked her magic that touched the seller's heart! Thanks to Rochelle we were able to purchase our home with no hiccups along the way and I can honestly say we say less than 10 homes because she knew exactly what we wanted! AMAZING!! Rochelle has been wonderful through this experience! She has been quick to respond, easy to contact, has loads of knowledge about the area and has kept our best interests in mind and worked very hard for us. We are very grateful for her! Rochelle has been really great to us. I originally gave her my criteria for a house and she found them for me to look at, but I kept changing my criteria and Rochelle patiently worked right alongside me looking for the perfect house. I had to take a break for awhile from looking and Rochelle completely understood and gave me my space. When I called her again in June I was ready to begin searching again. We finally found the house and she had held our hands the entire way and had kept us apprised of all the in's and out's of the loan process in AZ. So, thanks so much Rochelle. It's been painless and a pleasure working with you. Rochelle was great to work with in buying my house. She knew I wanted to stay in the same area I was in and I was not in a rush to buy a house. Whenever something came up for sale in my area that she thought I would like, she would call and would agree to meet me after work to look at the house. After looking at 2 houses, the 3rd one was the charm. She knew she had found the right one for me she called me at worked and we decided to meet on my lunch hour to view the house. She was right, the house was perfect for me. The house had everything I was looking for in a home and in the same area I wanted to stay in. Once we decided on the price, she started. Rochelle was great to work with in buying my house. She knew I wanted to stay in the same area I was in and I was not in a rush to buy a house. Whenever something came up for sale in my area that she thought I would like, she would call and would agree to meet me after work to look at the house. After looking at 2 houses, the 3rd one was the charm. She knew she had found the right one for me she called me at worked and we decided to meet on my lunch hour to view the house. She was right, the house was perfect for me. The house had everything I was looking for in a home and in the same area I wanted to stay in. Once we decided on the price, she started negotiations immediately and the seller and I agreed on a price within 24 hours. She quickly started with processing side of business, always kept up with every detail and always kept me informed every step of the way. Rochelle is my realtor and I do highly recommend her to anyone who is looking to purchase or sell a home. Her kindness and understanding and good listening skills make working with her an enjoyable experience. My husband and I had a pleasure of working with Rochelle Navarro to purchase our first home and it was a great experience we would highly recommend Rochelle to everyone we absolutely loved working with her such a smart/sweet lady. I really appreciated how she communicated - always was available, answering her phone, immediately returning all calls and emails. Thank you so much for all you did for our family. Rochelle has been really great to us. I originally gave her my criteria for a house and she found them for me to look at, but I kept changing my criteria and Rochelle patiently worked right alongside me looking for the perfect house. I had to take a break for awhile from looking and Rochelle completely understood and gave me my space. When I called her again in June I was ready to begin searching again. We finally found the house and she has held our hands the entire way and has kept us apprised of all the ins and outs of the loan process in AZ. So, thanks so much Rochelle. It's been painless and a pleasure working with you! When we were looking for a real estate agent, efficiency was a priority. We wanted to work with someone who would work around our schedule (no easy feature), who was quick and to the point. After speaking to a several other agents, we came across Rochelle Navarro and she quickly exceeded our expectations. Our schedule was such that the only time we could look for property was at the best inconvenient times, at some unholy hour. In spite of that, Rochelle was there for us, walking us through houses, chipper and happy, as if she had nothing better to do on a Saturday morning. I don't think I ever waited longer than 30 minutes for a return phone call or a return email. I know she is a pretty successful realtor, but we always felt like we were her only clients....like she had all the time in the world to work with us. At the end she help us find what we were looking for and negotiated a great deal for us even though we were rushing to make a buy before the end of the year (last days of December) and she did deliver. Not to mention that she has vast experience on home mortgage loans and was able to connect us with a great company for a mortgage loan and they worked expeditiously to get all approved and done just when we needed it. (but that is another good story). Not only is she really easy to get a hold of, and willing to accommodate our obscene schedule, she was down to earth, and very professional as well. I would strongly recommend Rochelle Navarro to anyone who is looking for an agent. 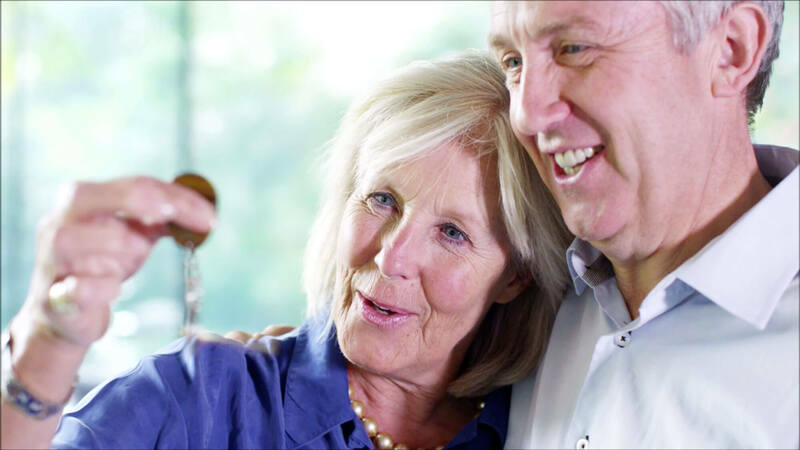 Working with Mrs. Navarro proved to be most beneficial when it came time to purchase our forever home! Especially since we were house hunting through both Thanksgiving and the Christmas seasons. Rochelle was always prompt and prepared when showing available houses and submitting all of our offers. I found her work ethic to be very strong when we were dealing with offers and counter offers into the late hours of the night. She was always quick to respond to our calls and provide answers to any of our concerns. My family and I love our new house and have enjoyed our new life in our friendly new neighborhood! We would gladly recommend my realtor Rochelle Navarro to accomplish all of your real estate needs.. I was nervous about going through this process "alone". I was not alone in this process. Rochelle worked with me early on, helping me every step of the way. When we began house hunting, i had everything in place. I had more than one game plan for what type of loan i would utilize, and i had my documentation ready to go. My loan process was very smooth and there were no unexpected issues. I would definitely recommend Rochelle Navarro to help you find your dream home. She will listen to you and make sure you find your dream home. 16150 N Arrowhead Fountains Ctr Dr.